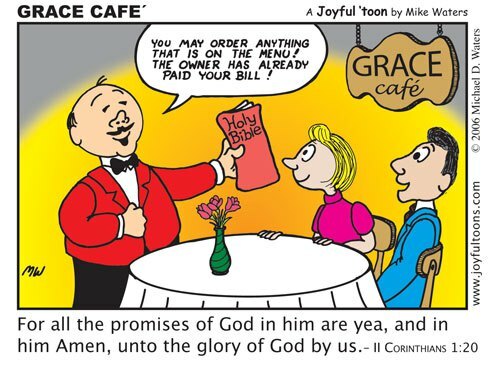 God’s promises have no expiry date…. 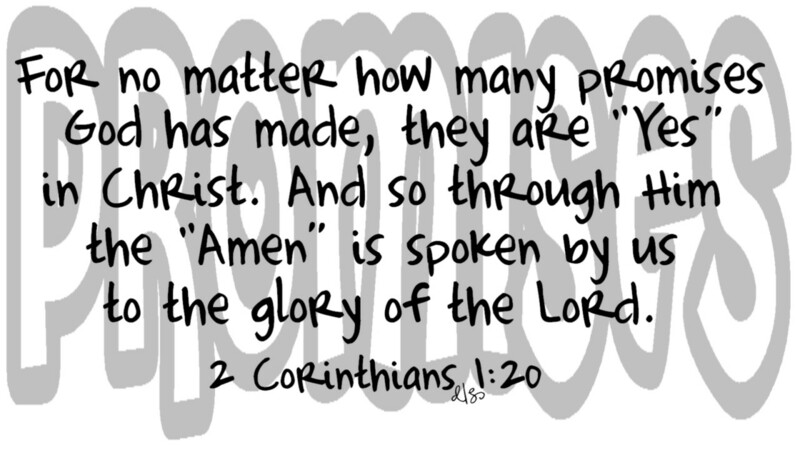 For no matter what promise God has made, it is yes and amen in Christ Jesus (Corinthian 1:20). Which is wonderful news for mankind….. I heard somewhere that the number runs into thousands, but, not being a top theologian, Google tells me it’s around 7,000. Every one of them cast-iron, rock solid guaranteed ‘YES’ and ‘AMEN’ in Jesus. I reckon many people know a lot more of them than they’ll acknowledge. I’d be a lot less prepared to hazard a guess as to how many REALLY believe them….and even less who put them either into action or to the test. People ask me often why so much more happens in countries like Colombia, continents like Africa, sub-continents like India: they then try to answer their own question by saying, ‘Well, it’s because they have nothing else – no hospitals, no medical services they can afford’ etc. WRONG! Many people – including here in Colombia, they have some pretty grim hospitals admittedly, but they have hospitals. They have medication. They have doctors. They’d just prefer not to use them, because they believe God will heal them. A vast number say they’ve seen a doc to get a diagnosis, but then come to church to get healed. And that’s what they get, because they prefer to believe the promises of God than take more medication. And like many of us in the wetern world, they go to the doctor, and get fobbed off with antibiotics, pain killers, and so on. Over the last few years, I’ve become great friends with a wonderful couple who pastor a church I’ve been to on many occasions, and it’s wonderful. Angela & Jesus pastor the church: they used to meet high up in the mountains in a barrio – Napoles – but last year moved ‘down the mountain into a mch more accessible building right in the heart of the community. They did it because God said to: they couldn’t – and to be honest – can’t still – really afford the rent on the building, but the church is multiplying, the Spirit of God is moving there…. Angela and Jesus are so generous and hospitable, I love them dearly, as do all the people I take with me on teams to their church. Their faith never wavers – nor does their trust in God to meet their needs. Nor does their belief in the miracle power of God. Lots of people were healed on Wednesday, but there were some even more significant happenings. Over the previous year, their son Cristian, a lovely young man, who was the church drummer, had decided to walk away from his faith, his church, and his calling. I’ve known him for some time, and mum and dad told him I was going to be there with Andrew and Adrian. So he came to church, with the lovely young lady he is currently living with. It was great to know that his parent’s faith has never wavered in his returning to God: and they haven’t tried to coerce him. He came because of friendship – and his lovely young lady gave her life to Jesus. Over many years, too, in the ‘dangerous’ (lol!!) market in Centro, Commercial la Fortuna, I’ve made lots of friends who own the ‘shops’ – often buying things for people here that they can’t afford, like memory cards, or blank discs – and for some of the guys with me, they ask me to take them to my friend Fernando, who sells and repairs – very cheaply – great watches. Many are originals, some not quite so original ( 😉 but excellent all the same, and great value. Fernando has become a great friend, and when I take people to his shop now, I’m either invited ‘into’ the shop, or offered a seat to sit next to the counter while people choose, having great chats with Fernando and his daughters – Lina and Daniella – and,building a great friendship with him, and the girls. Early in the week, Fernando surprised me, by asking if he could come to one of the meetings we were going to be involved in. So It was to Angela and Jesus’s church…. he came straight up for ministry when the praying began: and gave his like to the Lord! It was SUCH a blessing. Fernando has been divorced for three years, and his new girlfriend came – along with Daniella, who also both responded for ministry. Building friendships, and then believing that God will ‘do the honours’ and see his name lifted high when the fruit of those friendships results in salvation…. the whole family are being touched by God, and being ‘reeled’ in – just as Jesus promised that we would be fishers of men. So while Angela and Jesus hold on to God’s promise for provision, he’s multiplying their numbers, seeing people saved, healed, delivered, amazed, blessed…. loads of healings, such a blessing. For me, as a ‘Cali-hearted’ lover of this city – every time I come here -even after the longest ‘absence’ I’ve had from here in nigh on 20 years – a year since my last visit – it becomes more and more ‘home’. Why? Sure, I love the city: I love the people: I love the climate (generally 30-35C in the afternoons, and rarely below 20C at night) – but more than anything else, I love the faith of people who believe unquivocably in the promises of God, who clap and cheer VERY loudly when you say anything that relates to God’s promise for their life, or their healing. God’s promises are valid until the final end of time – and I know for myself, I want to live in the good of as many of them as I possibly can, and see them activated in the lives of the people God brings me to! « Friends are friends forever – or are they? The cheering at God’s promises alone sounds wonderful. It is, Graham, believe me! Raises the faith level through the ceiling! !